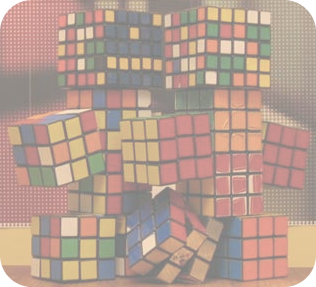 As of Jan. 14, 2012, cct.cubing.net is the official site for CCT, written by Ryan Zheng and Jeremy Fleischman. This site was hosted previously on gnehzr.net until 2009, and garron.us from 2009-2012. 2010 Nov 28 Walter Souza has just released his new puzzle timer, Prisma Puzzle Timer. CCT is no longer being maintained and Walter's timer has many of the important CCT features, so you should check it out. 2009 Nov 27 Jeremy fixed CCT so that it runs on Macs again, and added some features. You can try the (tentative) CCT v0.9.5, and CCT v0.9.4 is still available. If you're having difficulty with your stackmat, please try CCT-Diagnostics v0.1.0. Details in the readme. Hungarian and Chinese translations are included in CCT! Please help translate CCT into your language. View the full changelog. 2008 Sep 03 Pyraminx Scramble has been released. To use it, save it to the scramblePlugins directory. It will be included in the next release of CCT. The bug that caused only the scramble viewer to appear has been fixed. The "annoying status" light has been changed to "status light." This affects internationalization and if you created a custom GUI. Read the readme. View the changelog. CCT is now open sourced. The source code is located here. 2007 Jun 25 CCT v0.2 and CCTServer v0.2 have been released. Read the readme. View the changelog. CCT is a timer developed specifically for cubing with a stackmat. It can connect a stackmat to a computer through the microphone. A more specific description is located in the readme. Please read this before you download CCT. CCT comes with a client that can connect to a server. The server can be downloaded here. The server runs on port 32125 by default. To run the server, it must be run on the command line. Usage details can be found by running the jar file. The old CCTClient and CCTServer are obsolete. They have been replaced by a new solution. There is an IRC client built into CCT with that can communicate with a CCT bot. CCTBot v0.1.0 This is optional, it is included in CCT (read the readme on how to use it from CCT). This is here for those who want to run a bot and not use CCT. No installation is required. However, Java 6 is required. Instructions for Java can be found in the readme. CCT is downloaded as a zip file which must be extracted. Bugs, Feature Requests, Feedback, etc. Email us at cubetimer@gmail.com for any bugs you encounter, features you feel should be implemented, or anything else. Last updated 2009 Feb 22.